Tough match in Halle (the opponents obviously knew how to position 2, 3, 4 players on the flanks and score tries along the sidelines). However, although it was a high loss for the Berlin Bruisers, the team didn’t look bad at all. A team with new, motivated players and new positions, developing its interaction. Captain Alex: “happy to see some skills and good moves”. 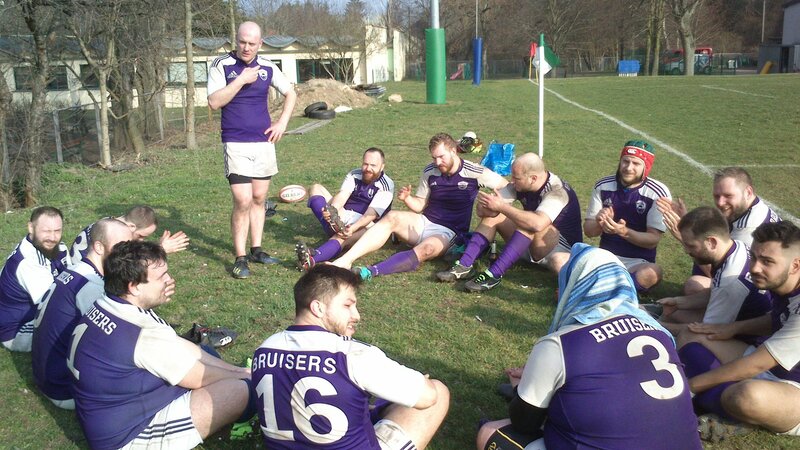 Coach Rodolfo: “despite the Halle dominance, good Bruisers defence, scrums and lineouts, tasks fulfilled. Besides regular training, some additional fitness is needed next!”.